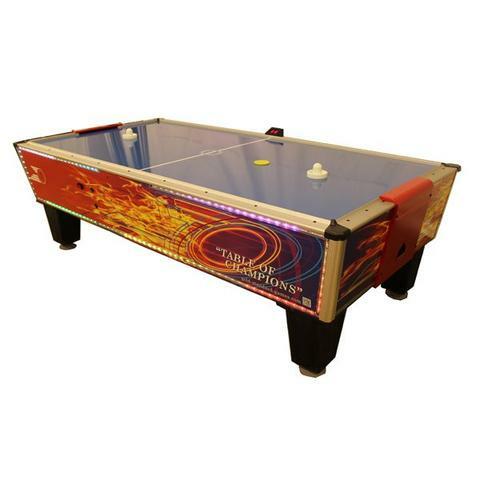 Gold Flare Home 8′ Air Hockey Table | Fun! 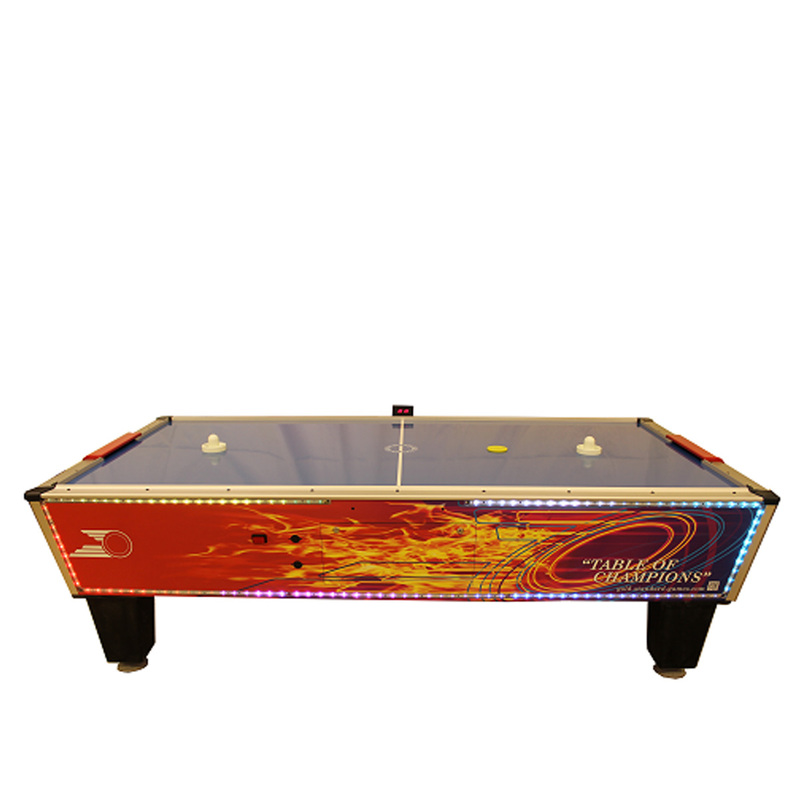 The Gold Flare Home Air Hockey Table features colorful arcade style graphics and has full LED chase lighting around the perimeter of the unit. 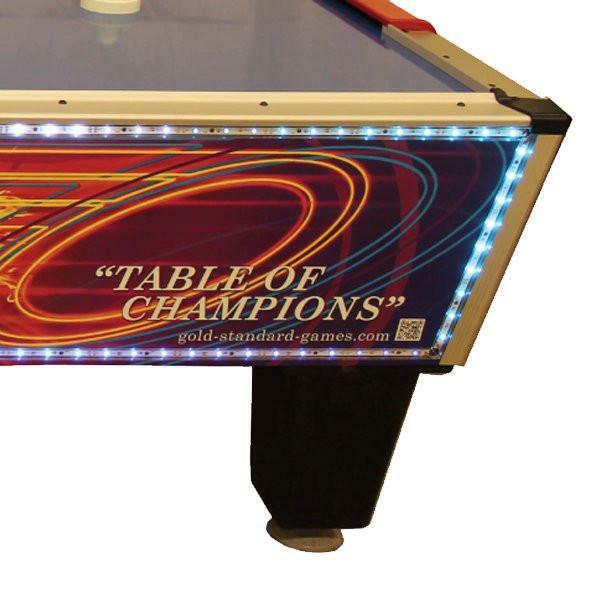 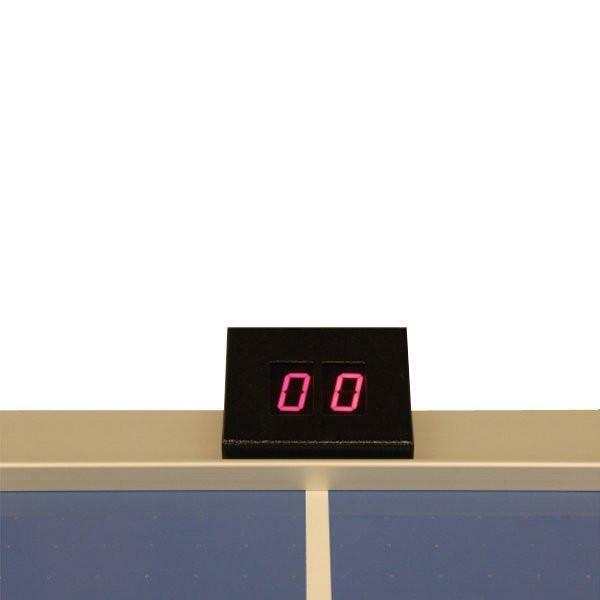 It also has an electronic side scoring unit and a special wear-resistant laminate playing surface with a face-off circle at the center line for competitive play. 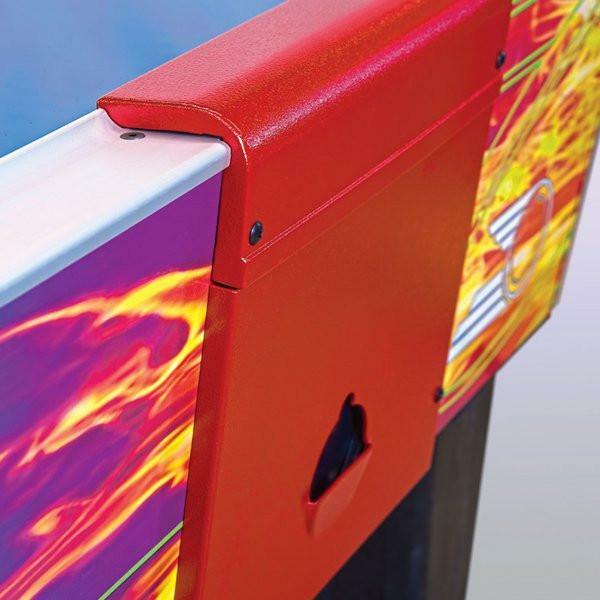 The GSG Gold Flare Air Hockey Table is fully-sanctioned for tournament play by the U.S Air-Hockey Association. 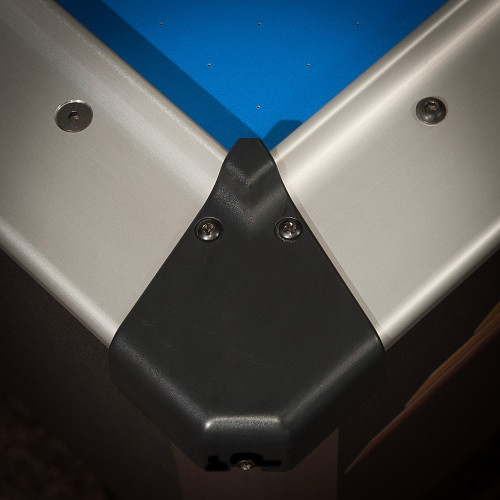 Table designed by Gold Standard Games owner Mark Robbins-industry air hockey “guru”, two-time world champion, table designer, and star of the recent documentary, “Way of the Puck”!